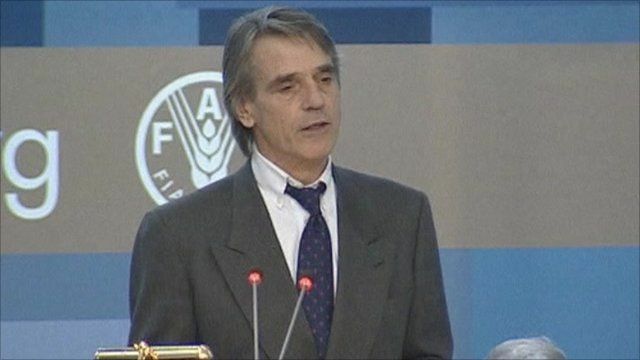 The actor Jeremy Irons has been named FAO Goodwill Ambassador at the UN's Food and Agriculture Organization in Rome. After the announcement he spoke at a news conference about the role. He told reporters that "as individuals we can be and often are compassionate, generous, fair-minded." "But actions on a global scale are governed by economic and political preferences", he said.